I received my Doctoral and Master’s degrees from Stony Brook University and Bachelor’s degree from the New England Conservatory with teachers Timothy Eddy and Laurence Lesser. I joined the Penderecki String Quartet and the faculty of Wilfrid Laurier University in 2013. I have performed throughout the United States, Canada, England, Australia and Israel and am a former member of the Colorado String Quartet (2009-2013). Performance venues with the Colorado Quartet included Symphony Space (NY) and The Kennedy Center along with cycles of the complete Beethoven and Bartok Quartets. 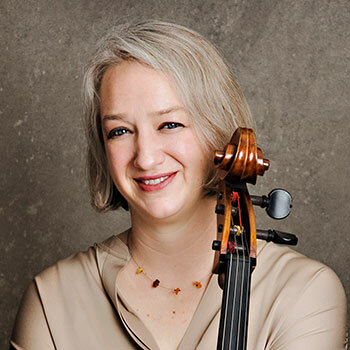 As a former member of the Avalon Quartet, I received top prizes from the Concert Artist Guild (NY), the 1999 Melbourne International Chamber Music Competition and the 1998 Banff International String Quartet Competition. My recent solo engagements have included a premiere of J Mark Scearce’s cello concerto “Aracana” and Haydn’s D major cello concerto with the Wuhan Symphony Orchestra in China. I have performed at the Ravinia, Tanglewood, Aspen and Caramoor festivals, collaborated with Claude Frank, Roger Tapping and Peter Wiley and recorded for Albany Records. I taught cello at the University of Connecticut from 2010-2013 while maintaining a private teaching studio in Stony Brook, NY for 7 years. I have also taught cello at the Hartt Music School, Bard Conservatory's Preparatory music program, coached chamber music at New England Conservatory's Extension Division, Stony Brook University's pre-college program,and at the Colorado Quartet’s intensive summer quartet institute, Soundfest. For recorded live performances and more information, visit the Katie Schlaikjer website.